“It’s one thing to brew great beer. It’s entirely another to turn that ability into a successful and thriving business. 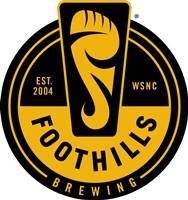 It takes foresight, talent, and business acumen – traits abundant in the visionary leader of Foothills Brewing. “Award winning brewery featuring some of the best hand-crafted beers in the Southeast!